The Silver Circle is not an award — it is a society of honor. To be eligible for membership, individuals must have been actively engaged in television broadcasting for 25 years or more (with at least half of those years in the chapter region), made a significant contribution to their local television markets and distinguished themselves within the industry and the community. Silver Circle inductees are elected by current members of the Silver Circle. The Gold Circle honors individuals who have been actively engaged in television broadcasting for 50 years or more (with at least half of those years in the chapter region) and who have fulfilled the same criteria as Silver Circle nominees. 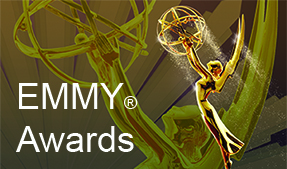 Gold Circle inductees are elected by the NATAS Chapter Board of Governors. NOMINATION PROCESS: The Gold & Silver Circle Committee selects nominations from the applications received. The cut-off for induction is determined by the Silver Circle Committee. Voting for the Silver Circle is done by the Silver Circle membership. Voting for Gold Circle membership is done by the Board of Governors.